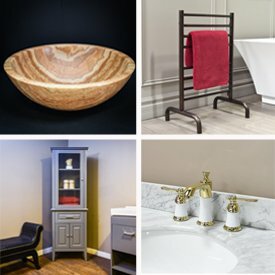 Espresso - Single Sink Vanities What is the best finish for a bathroom vanity? This question comes up a lot for many people looking to upgrade their bathrooms. The tone of your bathroom is such an important aspect that can make or break the overall design. Are you looking for darker or lighter colors? The quality of your finish also matters. Depending on your environment, you may want to opt for thicker finishes as they will withstand harsh conditions and last longer. Brands such as Virtu USA have thick finishes that creates a durable, protective sealant. If you are looking for Espresso vanities, Luxury Living Direct has a large range of styles and configurations to meet your needs. If you are looking for 2 or more vanities, give us a call at (800) 574-3022 and we’ll quote you out a special price!